Our affordable home studio recording bundle comes with a PAIR of Adam Audio T5V Active Studio Monitors, a Native Instruments Komplete Audio 2 Audio Interface, AudioKraft Isolation Pads & high-quality 3m Balanced Audio Cables. 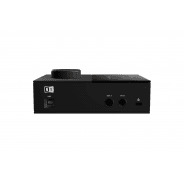 Included with the Komplete Audio 2 is also a selection of Native Instruments software which will allow you to record mix and export your tracks, making this package a nice all in one producing solution. 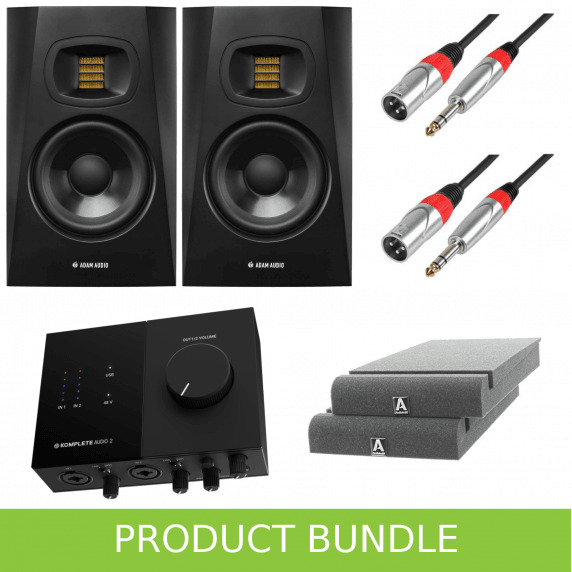 It's perfect for home recording studios and is fully compatible most desktop computers, laptops and Macs. 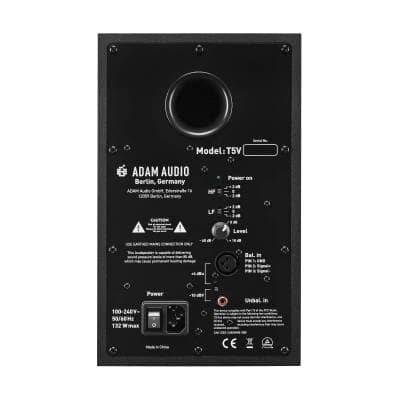 The Adam Audio T5V 5" is an affordable studio monitor in the Adam Audio catalogue, providing the same great audio and build quality Adam Audio are known for without breaking the bank. 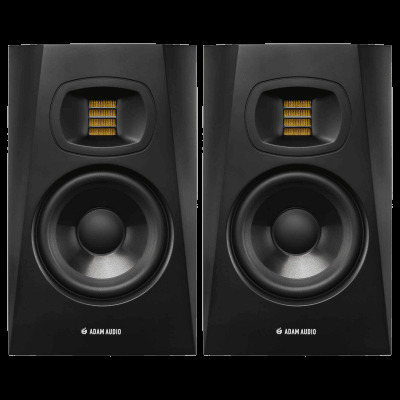 They have been optimised for small-medium rooms, making this a perfect choice for home studios, and are a great entry point for beginners. 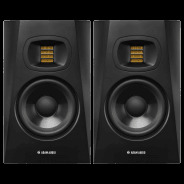 Don't let the size fool you though, the bass response goes all the way down to 45Hz which is very impressive for a monitor of this size. This will provide punchy kicks and deep basses, perfect for electronic music production, as well as everything else. The T5V features a unique U ART Tweeter, designed by Adam Audio specifically for this speaker. 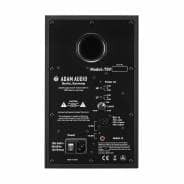 This tweeter can reach frequencies up to 25kHz without sound harsh or distorted. Overall, the frequency range on the T5V is balanced, not overpowering and clear, allowing you to create perfect mixes for any genre every time. 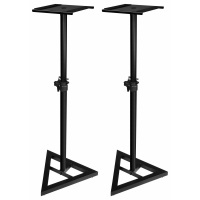 With a small footprint, this monitor can be placed in almost any space, and will fit comfortably on most stands and pads. The Komplete Audio 2 by Native Instruments is a sleek and elegant looking audio interface, perfect for solo artists, beatmakers and performers looking for an affordable way to record and mix their tracks. It's also a great option for bloggers, podcasters and other small recording applications. Komplete Audio 2 is compact and portable and can be easily carried around in a bag if required. There's no worry of damage either as it's built to last. 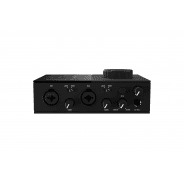 It features an 2x XLR/1/4" (6.35mm) combo inputs, providing versatility and convenience and allowing for most audio equipment to connect straight into it, from a microphone to DI guitar or bass - perfect for the singer-songwriter or singer & guitarist. Each input has it's own gain control and line/mic selector too, and both inputs feature phantom power (+48v). There are 2x 1/4" (6.35mm) balanced jack outputs for a clean and noise-free signal path from the Konplete Audio 2 to your speakers, and with them being 1/4" jack outputs it will be compatible with most speakers. 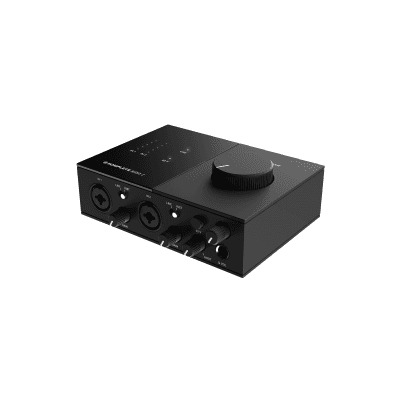 There isn't any compromise on sound quality either as you'd expect from Native Instruments - it can record up to 192kHz 24bit for the clearest most detailed sound. There is a VU meter for each input channel, so you can dial in the perfect amount of gain without clipping, and the large master volume knob makes it easy to adjust the overall volume to your taste. 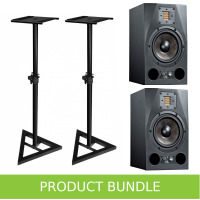 The ISOpads by Audiokraft are designed specifically to isolate your speakers from hard surfaces such as desks and floors and will dramatically improve your listening experience removing unwanted vibrations. 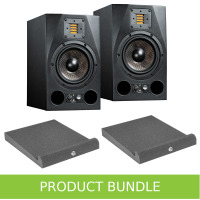 The laser cut acoustic foam will fit any studio monitor speakers with a 3, 4.5 or 5.25" Woofer. MASCHINE Essentials: Full MASCHINE software with 1.6 GB MASCHINE Factory Selection of samples, one shots, loops, and instruments. 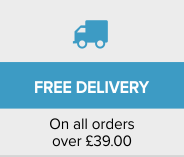 Option to upgrade to full MASCHINE Factory Library and KOMPLETE 12 Select. REPLIKA: professional creative delay plugin. SOLID BUS COMP: powerful compressor for mixing and mastering. PHASIS: timeless phasing effects for adding movement to any sound. MONARK: warm vintage tones from the undisputed king of mono-phonic analog synths. 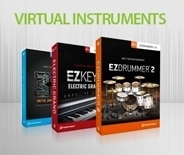 KOMPLETE START: NI’s free production suite is automatically included. Ableton Live Lite: music creation software. 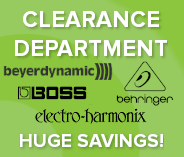 2 Months free subscription at Sounds.com. Manufacturer Warranty: 2 years plus 3 years if registered in the my ADAM user area.